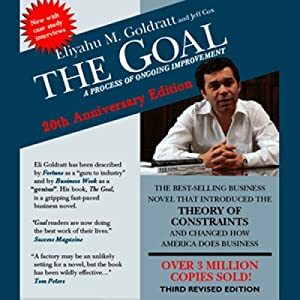 I read a book earlier this year that I should have read much earlier: Eliyahu Goldratt’s The Goal: A Process of Ongoing Improvement. The book is not new, written in the 1980s, when many American manufacturers struggled to compete with the Japanese. 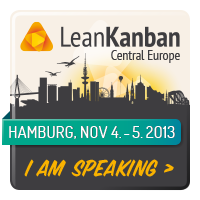 The book introduces the so-called Theory of Constraints, which the basis of lean manufacturing. The value of this book to today’s knowledge workers is that it the TOC is still relevant and understanding it puts one’s understanding of lean software development principles and Kanban on a more solid foundation. The Goal is very different from most textbooks; it is a novel, set in a fictional small Midwestern factory town of Bearington. The main character, Alex, is a plant manager, whose plant is struggling. It has the latest and greatest machines, its machines and workers work hard, but if you look at the assembled goods leaving the plant’s shipping dock, there is little throughput. Orders are constantly late, shipping dates are unpredictable, customers are frustrated. The company is losing business to foreign competitors, who can ship their product faster and make it cheaper and with higher quality. Alex’s superiors give him three months to turn the plant around or else the have to close it. Alex turns his plant around in the end, but he has to learn the Theory of Constraints to do it. He learns it using Socratic method, taught by a wise consultant named Jonah. One of Alex’s discoveries happen during a weekend when he leads a troop of boyscouts (his son’s classmates) on an overnight hike. The scouts must hike 10 miles of narrow trail to reach their campsite. The strongest kid, Ron, is in front and sets a reasonable pace, two miles per hour. But Alex discovers at the midpoint that the column is moving at only one mile per hour pace and there is no way they can reach the campsite before sunset at this pace! It turns out that scouts’ speeds vary randomly. The positive deviations don’t accumulate, because you bump into someone. The negative deviations do accumulate, slowing down the column. The slowest kid, Herbie, is way behind, sometimes walking, sometimes stopping, sometimes running, and very tired. The only kid able to sustain two miles per hour is Ron who is comfortably in front. The scouts are our children. The trail is what they need to learn. For public education to fulfill its mission in the XXI century, it must figure out how to move the whole column at two miles per hour. We live in the era of knowledge economy and globalization — sorry for the cliché — and countries that figure it out will have advantage. As we know from reading Goldratt, letting the kids walk at their own paces gets us one mile per hour, so that is not an answer. Putting the slowest kid in front and holding back everyone else is not an answer. Measuring kids’ speeds individually on a straight, flat part of the trail (if you get my drift) is not an answer. What do you think? Makes sense?